Fabian Maciel entered high school with a plan to get to college with a football scholarship, then study architecture, graduate, and help his family rise from poverty and move out of subsidized housing projects. 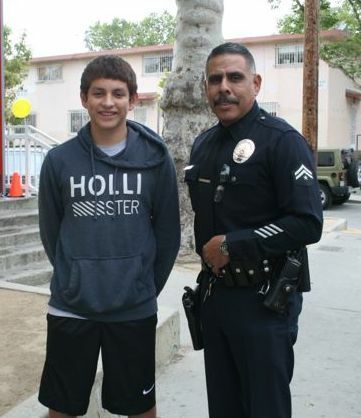 A local police officer coached Maciel in the police-run football program and intervened on his behalf to help him get into a private school in Boyle Heights. “He’s motivated, he’s driven, and as his coach I could see that he has a lot of potential. If he sets his mind to anything it can be achieved, obviously through the proper channels.” Read more on Boyle Heights Beat. This entry was posted on June 14, 2015 by Editor in Boyle Heights Beat, Print and tagged College, football, mentorship.